While Russia’s World Cup was still in full swing, the Xiamen version of the competition heated up in Kulangsu. 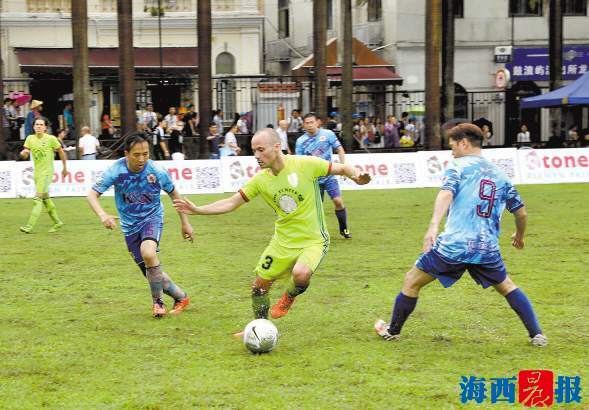 Kulangsu’s 5th Kulangsu Cup 2018 friendly soccer match took place at the Kulangsu People’s Stadium, attracting nearly 200 participants from 16 international soccer teams, including France, Hong Kong, Beijing, and Xiamen. In this friendly match, a seven-a-side soccer system was demonstrated, and it included French Kiss, Shanghai International, Beijing Barbarian, Hong Kong German, Xiamen International, and Old Boys, among other soccer teams. An interesting fact about this sports event is that foreign players who have studied, worked and lived in China for a long time accounted for about 90% of the participants. Their nationalities include German, French, Italian, American, Brazilian, and many other. Players with different skin colors, speaking different languages competed in the same field, making this game an international model. According to the event organizer, Kulangsu sub-district office, this friendly soccer match, organized after the friendly rugby match and the opening of the “post-appreciation” era, represents a large-scale sports event which not only allows more people to experience the charm of Kulangsu, but also combines sports events and the promotion of Kulangsu’s culture. The Kulangsu Foreigners’ Football field is a historic landmark on the island. It was built in the 1870s, and once used for lawn tennis and cricket. In 1910, the court was an important venue for the reception ceremony for the AmCham delegation. This historic, sprawling soccer pitch serves as an informal divider between Kulangsu’s main village and the southern parks and beaches. You can generally wander around on its well-manicured grass when the stadium isn’t being used for a match. The enormous banyan near the stadium entrance is at the crossroads of the path that meanders through the hills to Nei Cuo Ao and the one that leads to Longtou Road shopping district quite nearby. 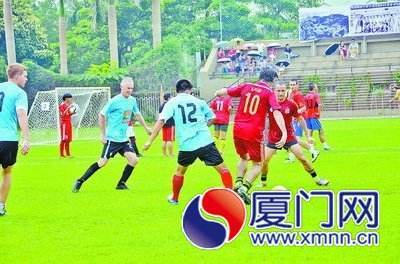 Soccer and rugby matches are held regularly, and many foreigners from Xiamen attend games. The stadium is surrounded by tall palm trees and upmarket gift shops and restaurants.